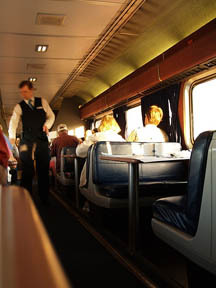 Before I took a recent train trip from Chicago to Portland, I looked for information on what to expect from the Amtrak dining car. My search was largely fruitless. To help fill this gap for future riders, I posted an account of my dining experience at Gapers Block, a Chicago-based website that I also write for. You can read it here. Nick and I are in the middle of moving to a new neighborhood. So far, the process has been substantially annoying due to landlord snafus. We are hoping to be installed in the new apartment late tonight. I will be back posting regular content as soon as we are settled!